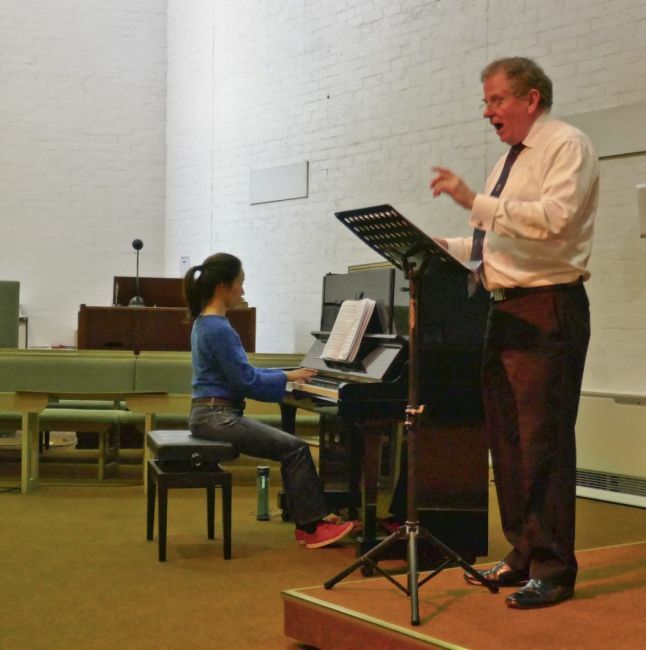 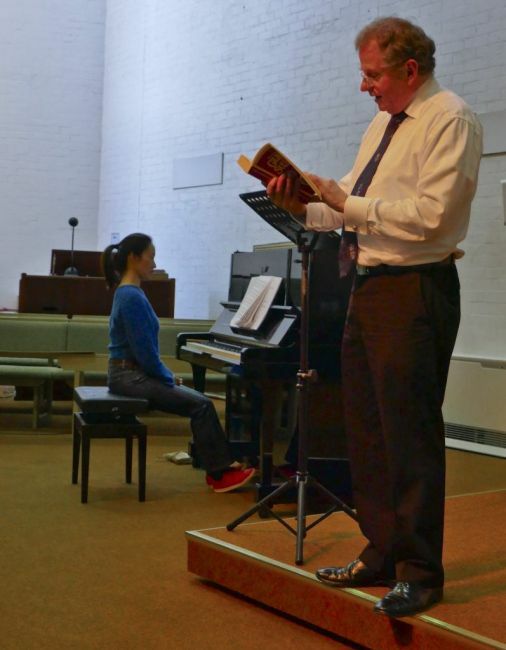 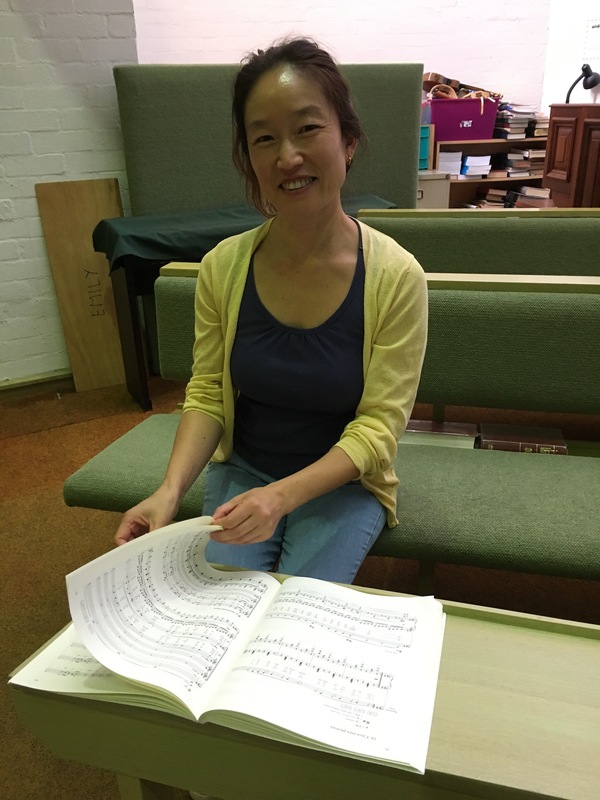 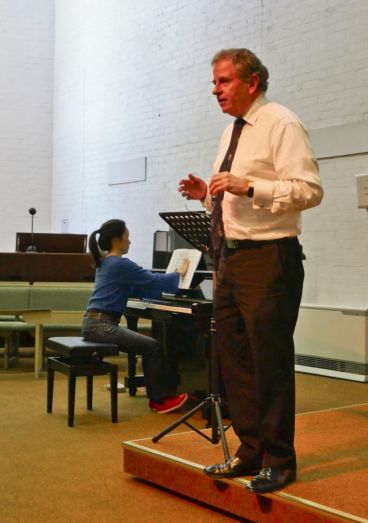 Tom Healey, accompanied by wonderful Sonoka Miyake, took an enthusiastic group of singers through Carl Orff’s Carmina Burana on Sunday 7 April at St Luke’s. 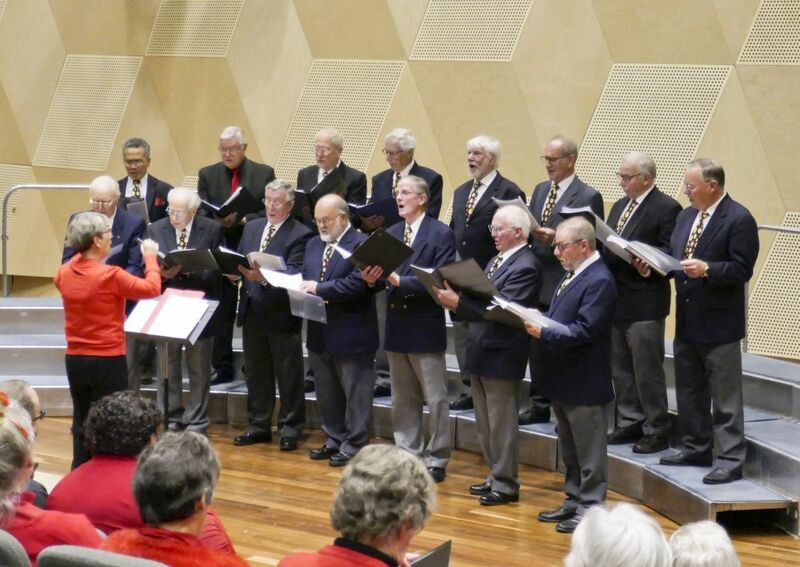 Our first ‘Singing the Classics’ for 2019. The Geelong Chorale is very proud to announce our next and first concert for 2019 as part of Music at the Basilica’s 11th Annual Windfire Music Festival. 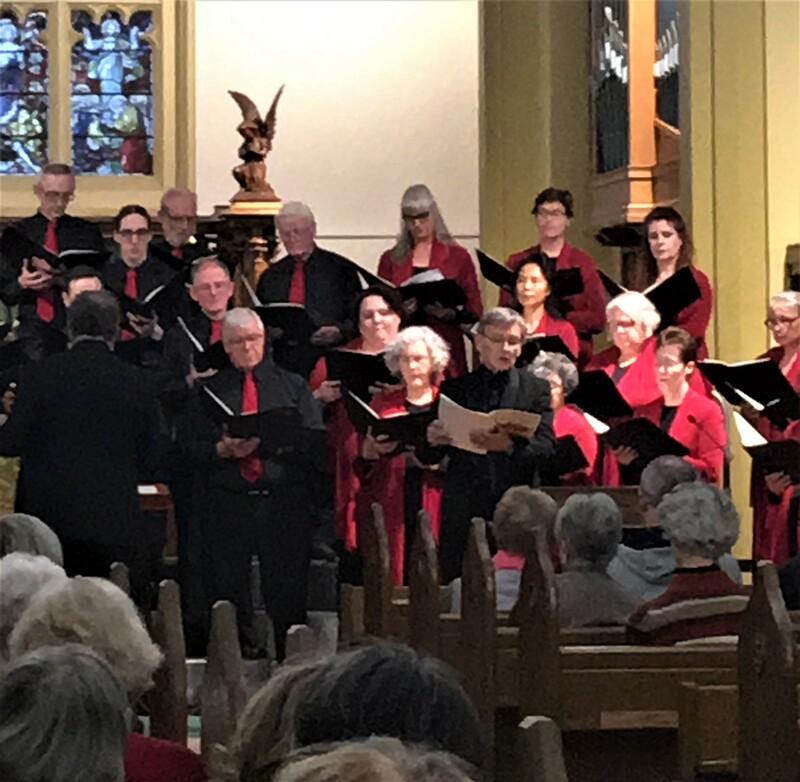 Is a spectacular program of music for double choir, brass ensemble and organ, featuring music from the Renaissance to the present day. 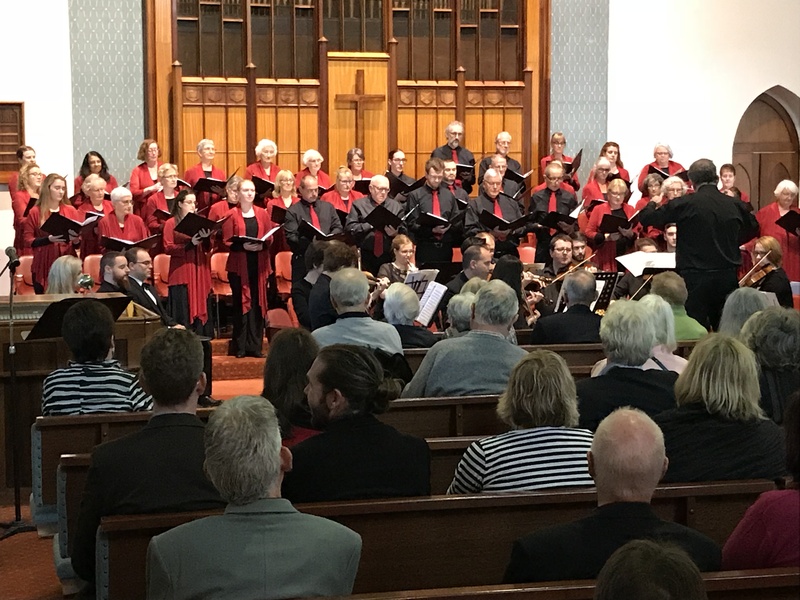 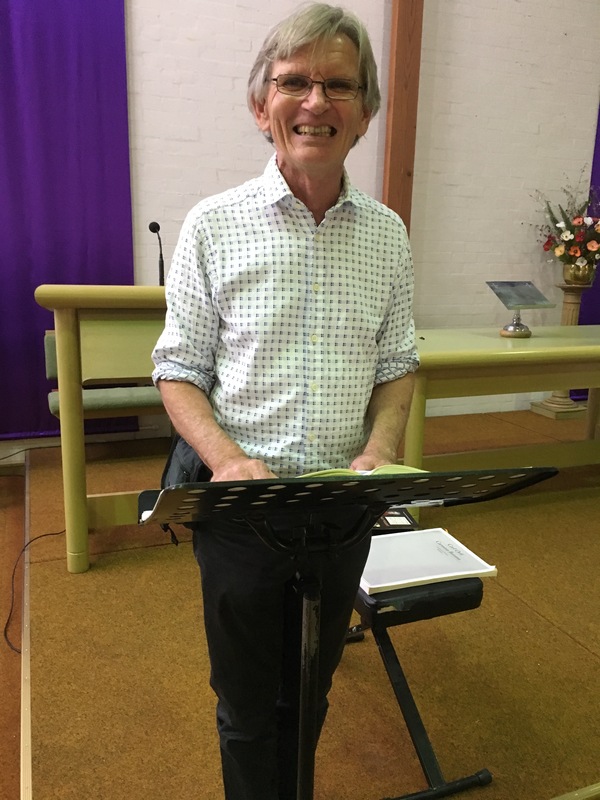 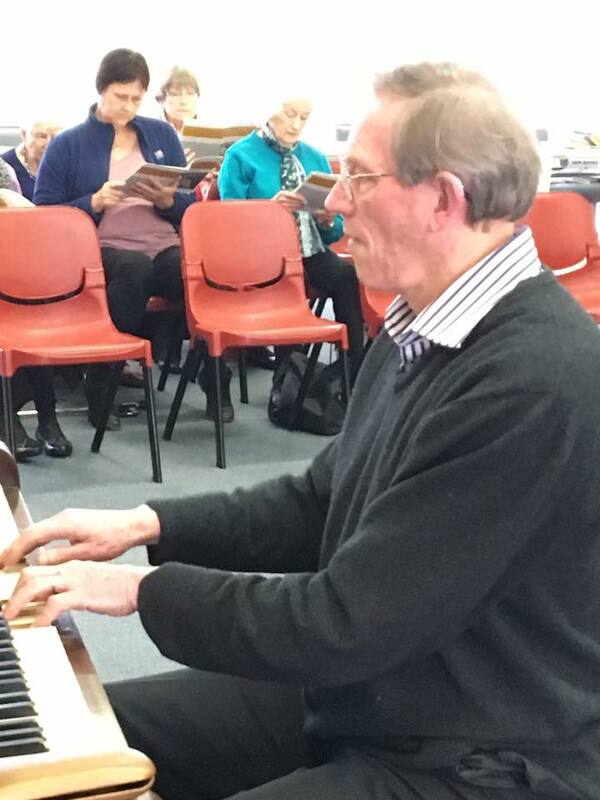 “Singing the Classics”, on Sunday 12th August, at Wesley Church, 100 Yarra Street, Geelong from 2-5pm, was enjoyed by everyone. 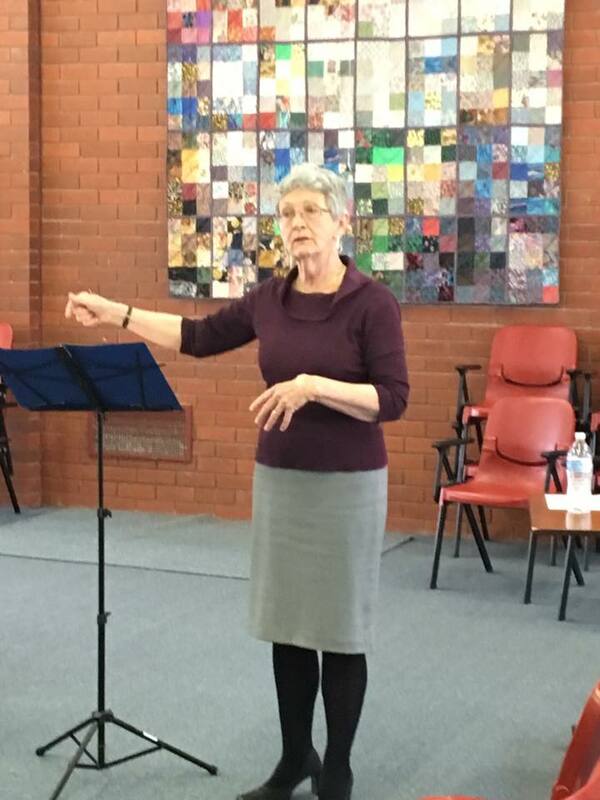 Our own Anne Pilgrim took us through Dona Nobis Pacem by Ralph Vaughan Williams. 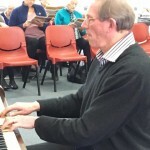 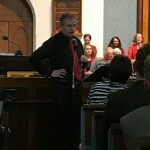 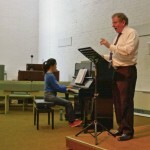 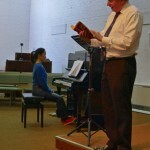 John Bumford was our talented accompanist for the day. 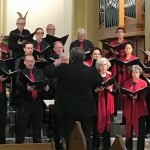 Dona Nobis Pacem is a 6-movement cantata, in which Vaughan Williams has chosen text from Walt Whitman, written to describe why war should never occur again. 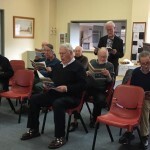 Some OT texts are included, too. 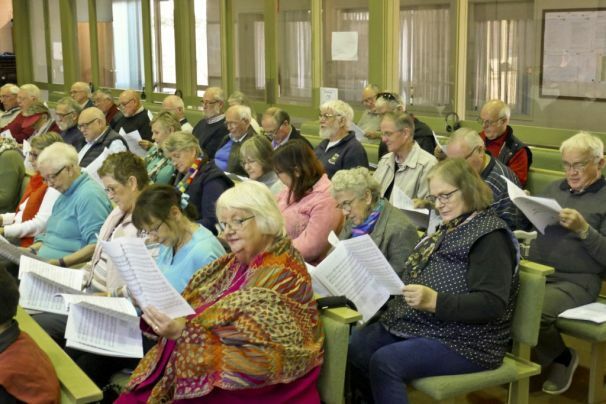 Whitman was a medical orderly in the American Civil War and had experience of the effects of war, and his poetry is alive with feeling. 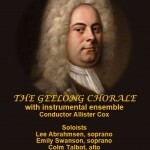 The work is very much a choral work, with the orchestra used to support the meaning of the texts, and solo soprano and baritone lines set beautifully. 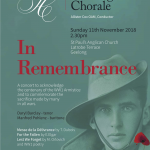 We’ve chosen it for its beauty and because of the proximity of the centenary of Armistice Day. 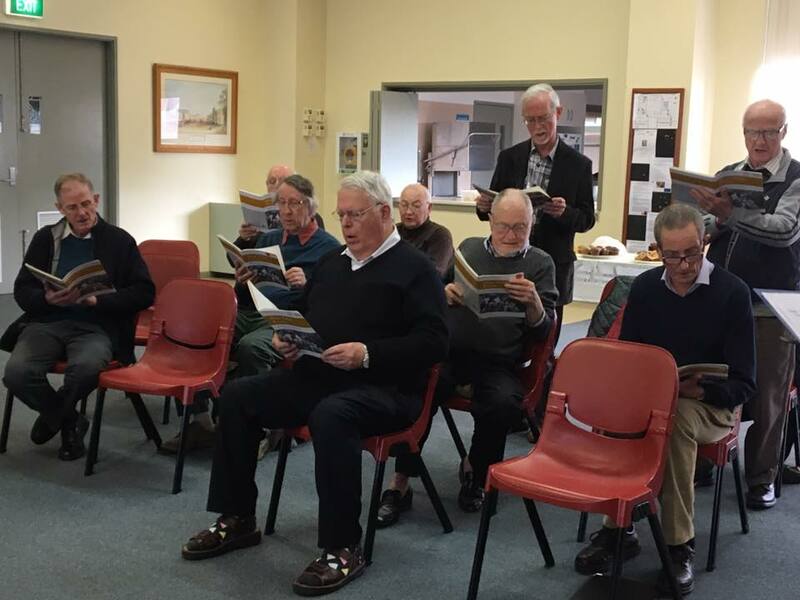 Watch out for the announcement of the program for 2019 soon. 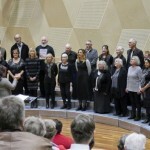 Sunday 5 August 2018, Requiem by Faure and other French choral music. 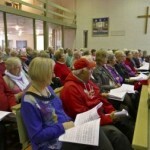 St Paul’s Anglican Church, LaTrobe Terrace, Geelong at 2.30pm. 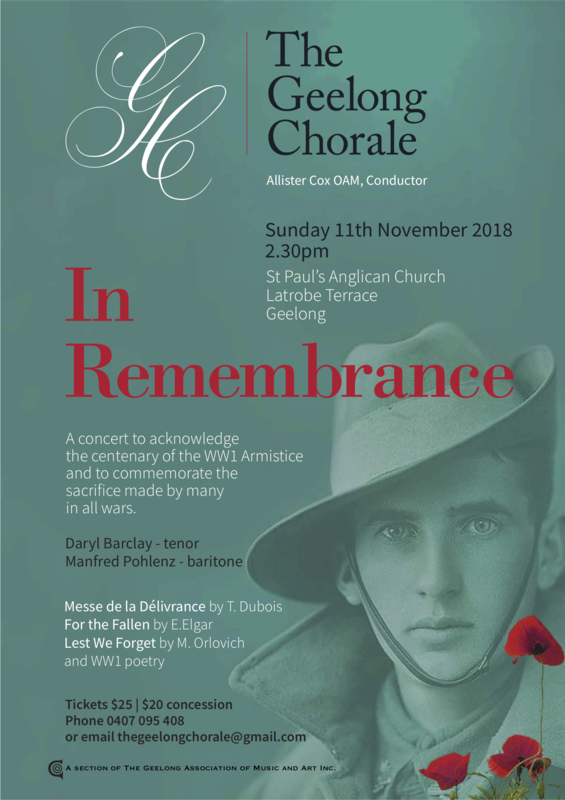 Fauré Requiem with motets by Fauré, Duruflé, Gounod, Franck & Villette sung by the Geelong Chorale, conducted by Allister Cox. 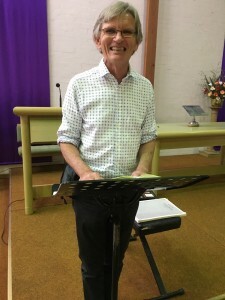 St Paul’s Church, August 5, 2018. 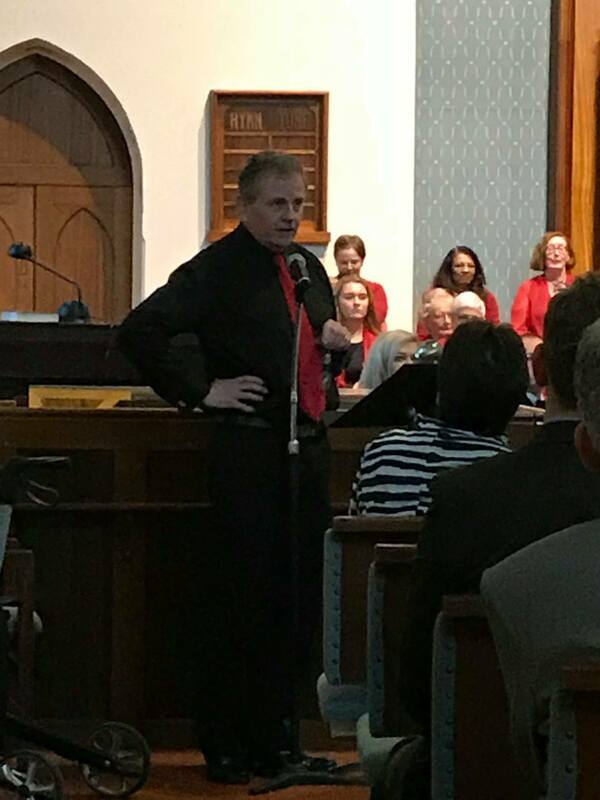 Only rarely does it happen, when the stars align, the ducks are in a row, all the hard-work preparation pays off and fortune smiles on a single performance. 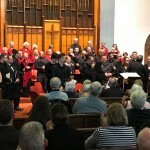 That all happened with this concert. 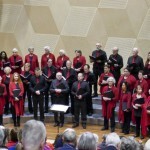 I don’t think that I have ever heard the Geelong Chorale in better voice. 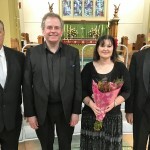 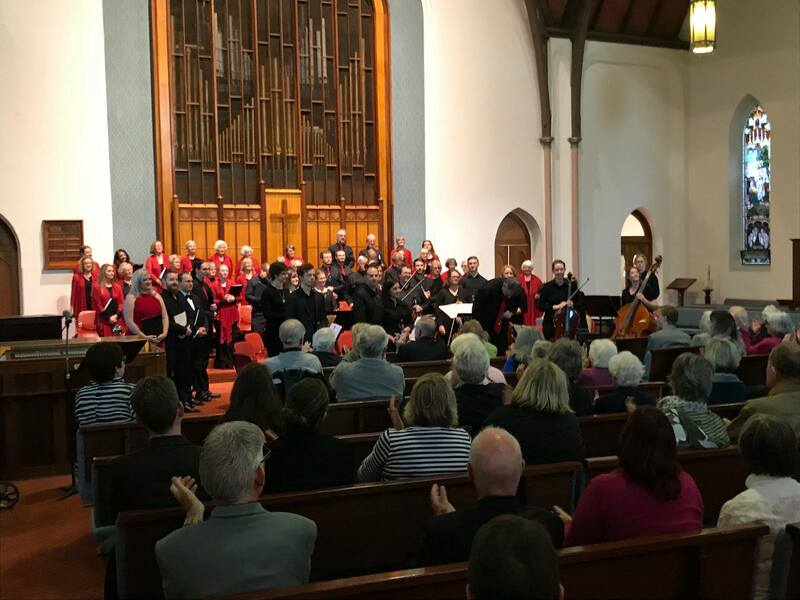 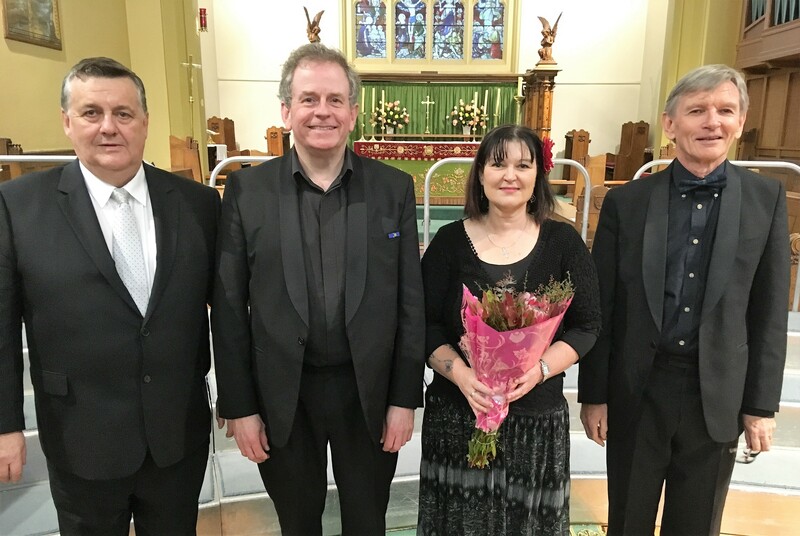 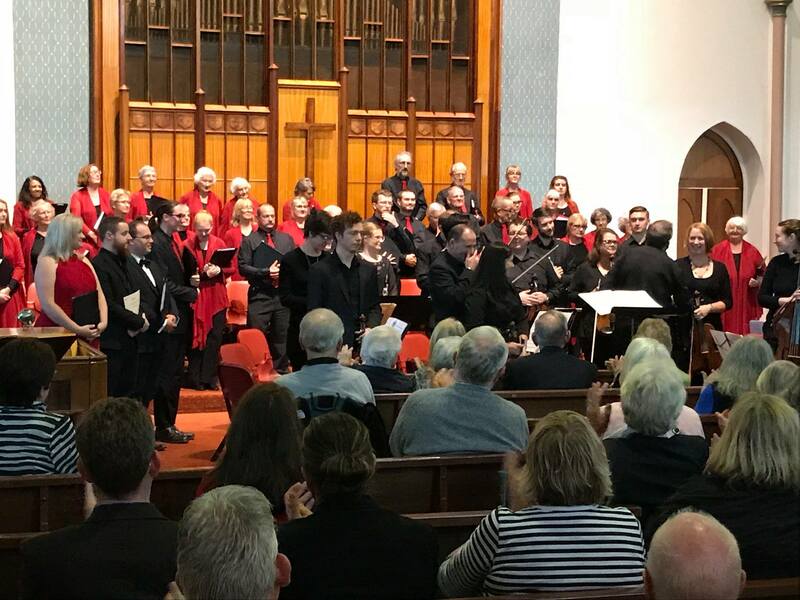 What’s more, its choice of material and soloists was perfect, the venue’s acoustics allowed pinpoint clarity – and the audience relished every note, every flourish and every syllable of conductor Allister’s introductory remarks. 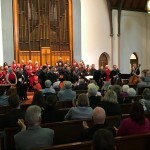 This was a concert that grew to become a memorable occasion. 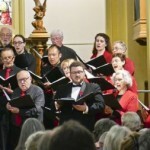 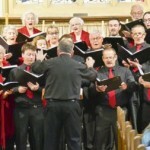 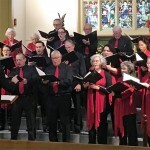 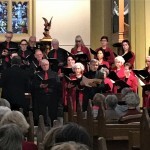 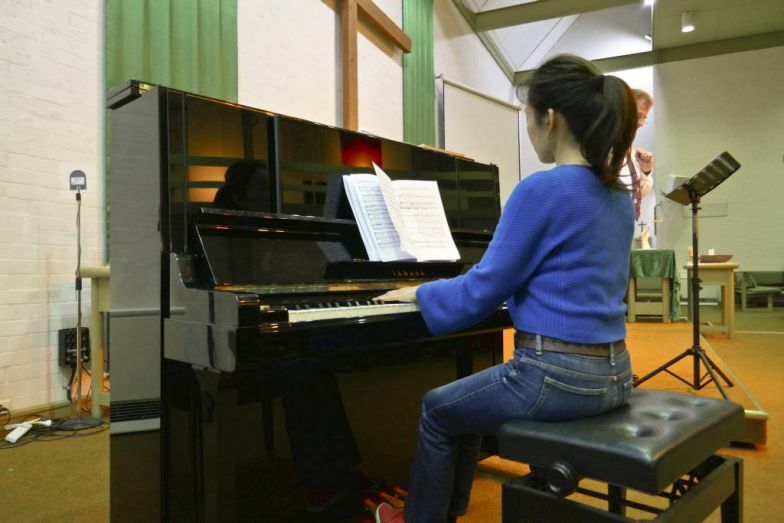 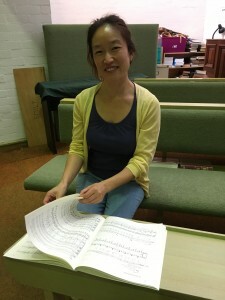 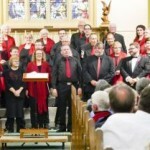 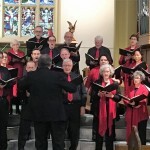 Its music was drawn mostly from the works of 19th Century French composers with Gabriel Fauré’s Requiem the principal work, taking up all of the concert’s second half. 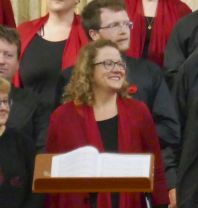 For this, the Chorale had brought in soprano soloist Lisa Breen, whose warm, rounded tones and precise clarity was perfect for the solo piece Pie Jesu; and baritone Tom Healey, who matched Lisa for precision and added elements of power and pathos in his Libera Me. 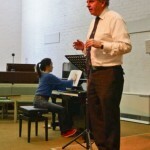 I don’t think I’ve ever heard Lisa or Tom sing better, either. 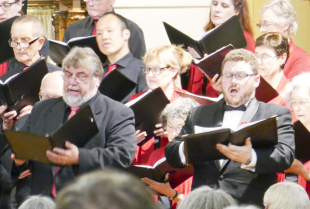 Their voices jigsawed seamlessly into the flawless elegant rendition that the Chorale was providing. 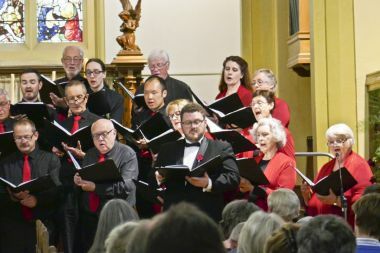 Add in Frank De Rosso’s masterly accompaniment on the St Paul’s pipe organ – which must, surely be the best in our region – and the combined interpretation could only be described as glorious. 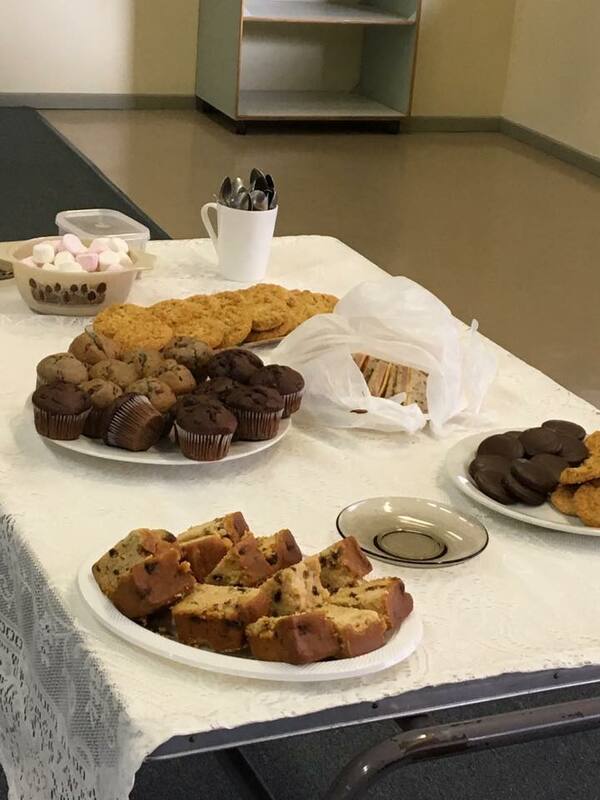 And that was, if you like, only the main course. 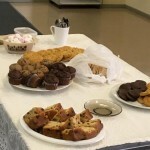 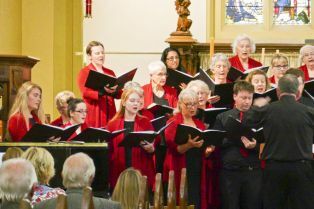 We had been prepared for this by a series of appetisers starting with the well-known favourite in Cesar Franck’s Panis Angelicus delivered by the Chorale with al the warmth and flavour you would expect from bread made in heaven. 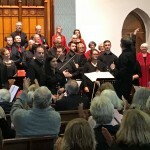 This was followed by six short motets from De Several, Duruflé Saint-Saëns, Villette and Fauré along with a resounding version of Gounod’s Ave Maria featuring soloist Lisa. 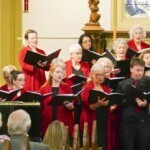 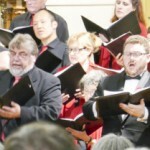 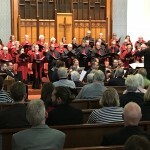 The Chorale, for this concert, was smaller than usual and in an unfamiliar formation. 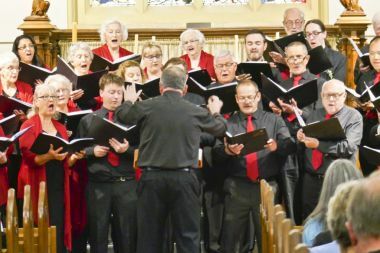 Its eleven sopranos were ranged to conductor Allister’s left, with his 13 altos to the right, separated by the central male component of three tenors and seven basses. 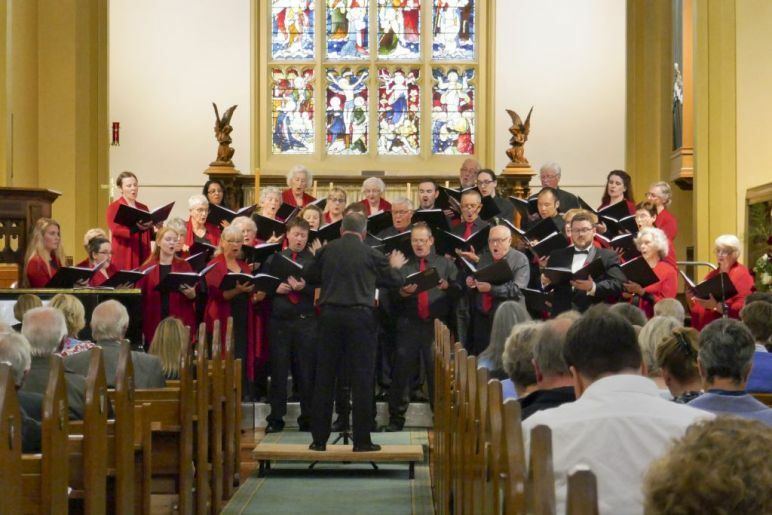 Whether it was this configuration, the reduced size, or perhaps the make-up of voices, but this format sounded simply glorious given those perfect acoustics in St Paul’s church. 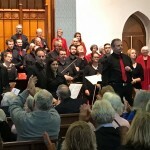 And such was their appreciation that following the performance, many audience members remained, waiting to congratulate the conductor, soloists, accompanist and individual Chorale members as they trickled in, wearing the satisfied smiles of people who knew they had made a first-class performance of an excellent concert, and all on a day when the god(s) were smiling, too. 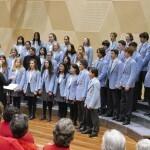 The venue, titled ‘SPACE’, for ‘School of Performing Arts and Creative Education’, turned out to be a sparkling new theatre complex built inside the environs of Geelong Grammar’s Corio campus. 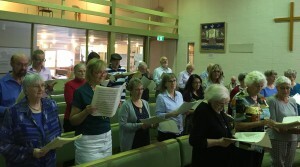 And it proved to be perfect for this non-competitive gathering of choral groups from Victoria’s Western district. 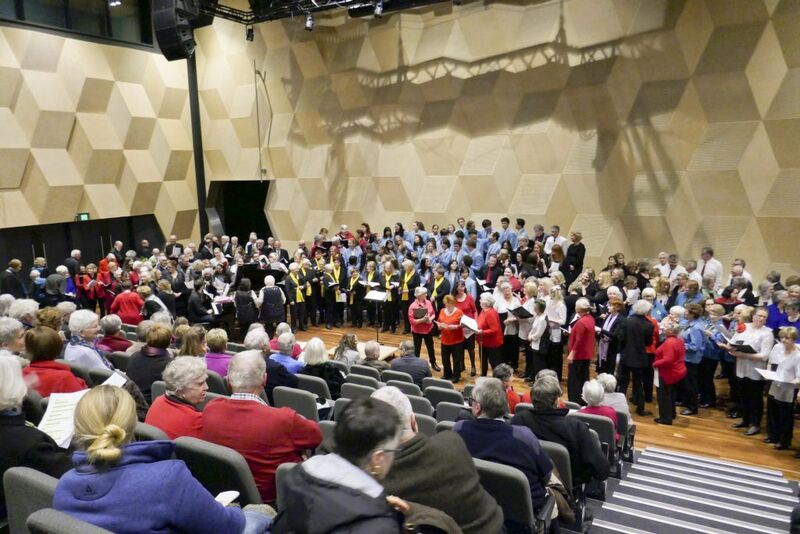 But that intro, too, was a little misleading, for 12 of the 14 choirs were from Geelong, and rather than a gathering, this presented as a glorious celebration of group singing. 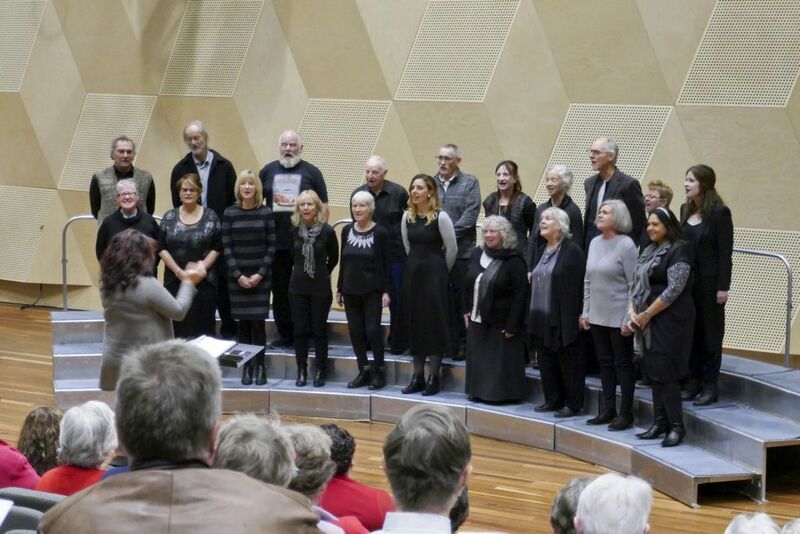 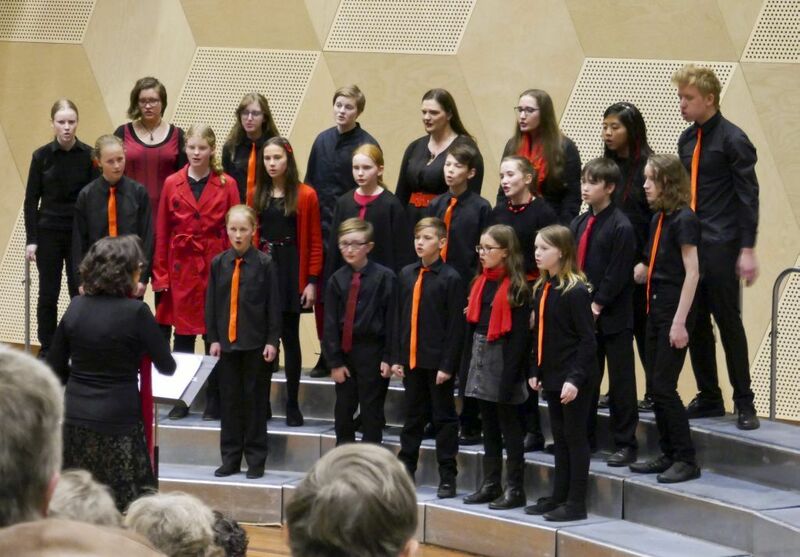 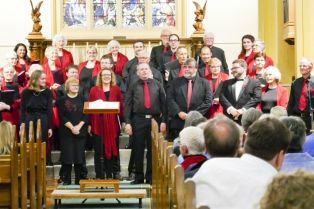 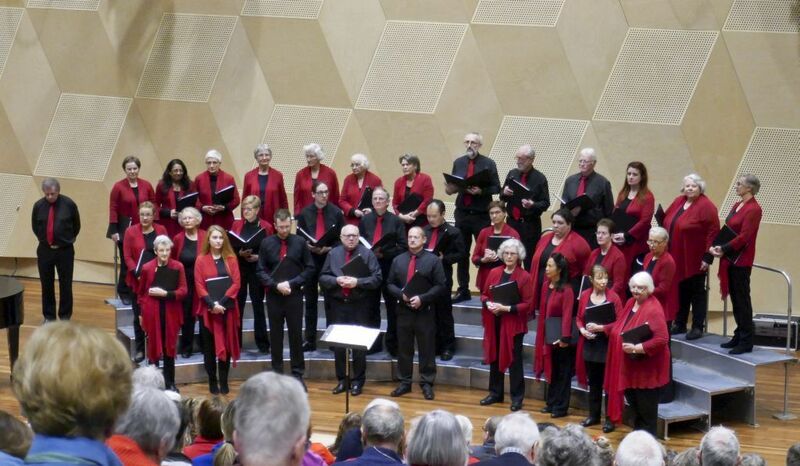 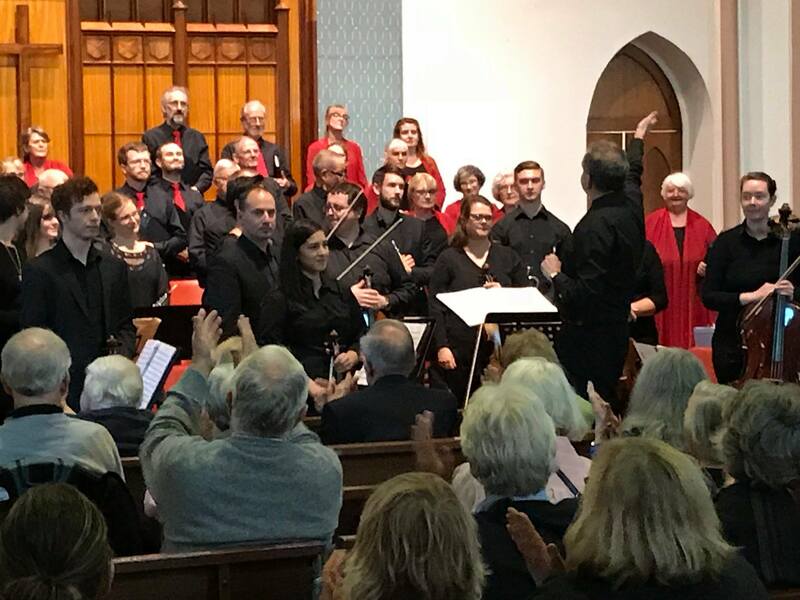 Those 14 choirs brought the width and depth, the textures, colours and diversity of sung music, from folk songs to high opera, jazz to classic pop, in a smoothly-organised procession over two hours with just a ten-minute leg-stretching break. 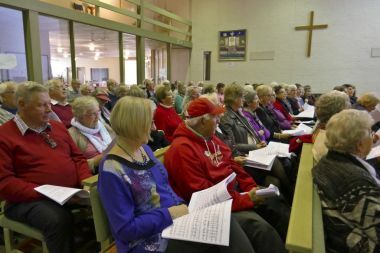 And in the process, they created an afternoon of musical joy for its fortunate audience. 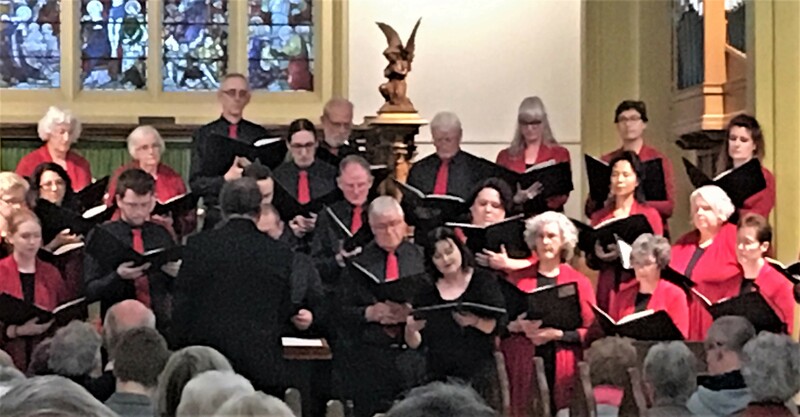 The show began with event hosts, The Geelong Chorale, displaying its delicacy of tonal excellence with ‘O Radiant Dawn’, followed by a happy rendition of the traditional Christmas ‘Wassail’. 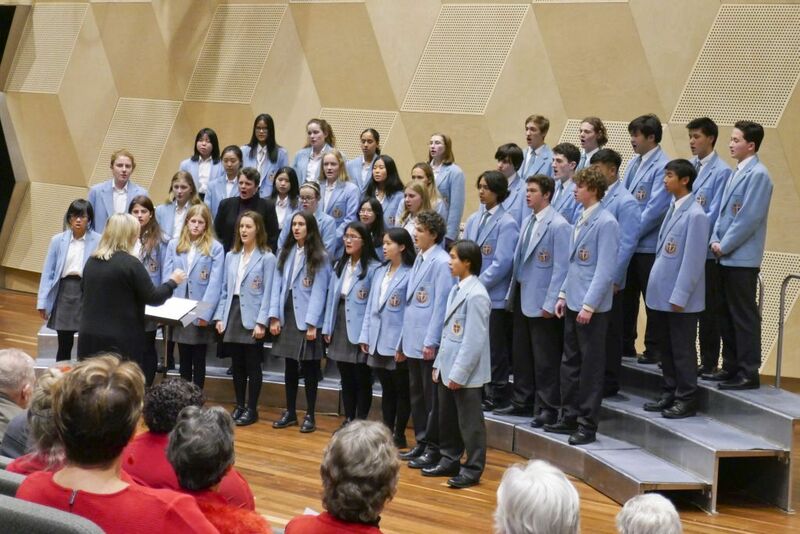 It ended with the venue’s hosts, the Choir of Geelong Grammar School making a glorious job of Freddy Mercury’s ‘Bohemian Rhapsody’, followed by an all-on-stage – 400 voices, according to MC John Stubbings – version of Toto’s ‘Africa’. 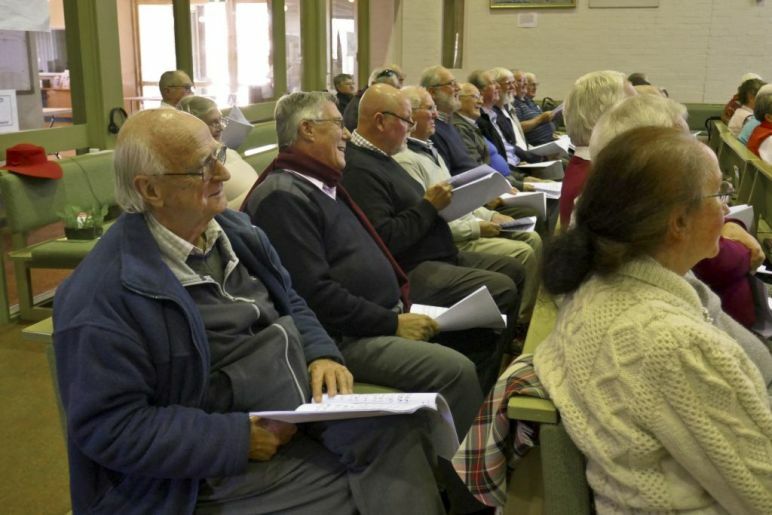 This had everybody in the room singing do-do-do do-do doop doop dooo.. and blessing the rains down in Africa – while hoping the rains in Geelong would hold off to allow them a dry walk back to the car park. 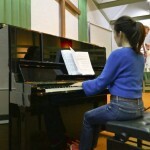 The time in between was filled with fine music and delightful memories. 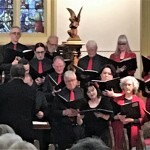 The Colac Chorale brought gentle treatments of folk spirituals with ‘Black is the Colour’, ‘The Water Is Wide’ and ‘Wade In The Water’; followed by Geelong group Wonderous Merry, who continued the wet theme with ‘Soon It’s Gonna Rain’ but negated the concept by singing ‘Dem Dry Bones’ – complete with an illustrative string-puppet skeleton – as their final number. 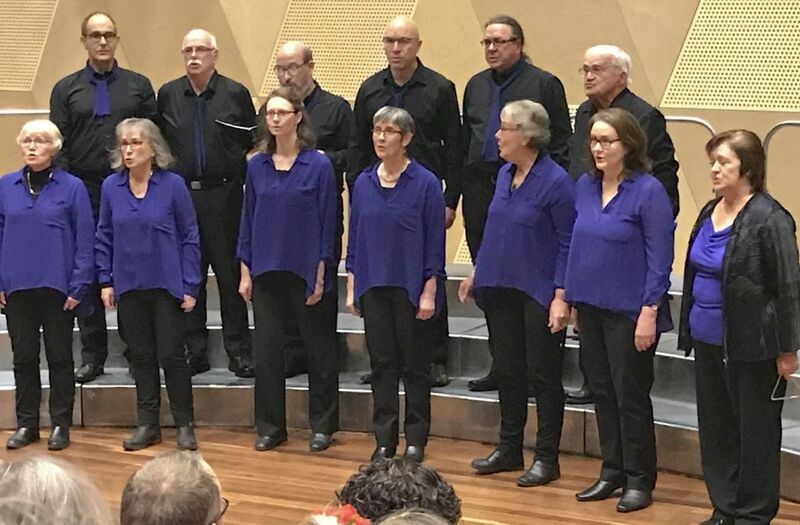 The Apollo Bay Community Choir was next, presenting a trio of joyfully warm African-styled rhythmic numbers from their Gitika Partington songbook, including one written by the gloriously named Three-Bucket Jones. 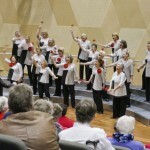 Then came the all-female Geelong Harmony Chorus presenting vocals as sparkling as their costumes, along with some neat prestidigitation as they conjured roses while singing about ‘Looking At The World Through Rose Coloured Glasses’. 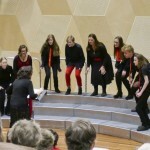 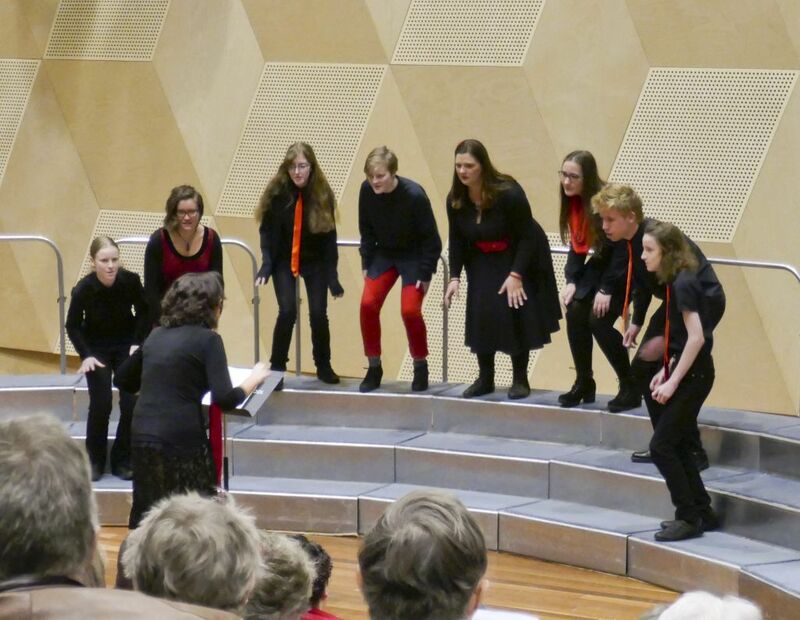 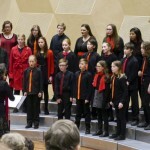 The Geelong Youth Choir began small, with its six-member Chamber Choir before expanding to 30+ voices to present its witty, clever ‘Painless Opera’ – then expanding further by melding with their adult group, Raise The Bar, to bring a little happy clapping Arabic magic with ‘Sih’r Khalaq’. 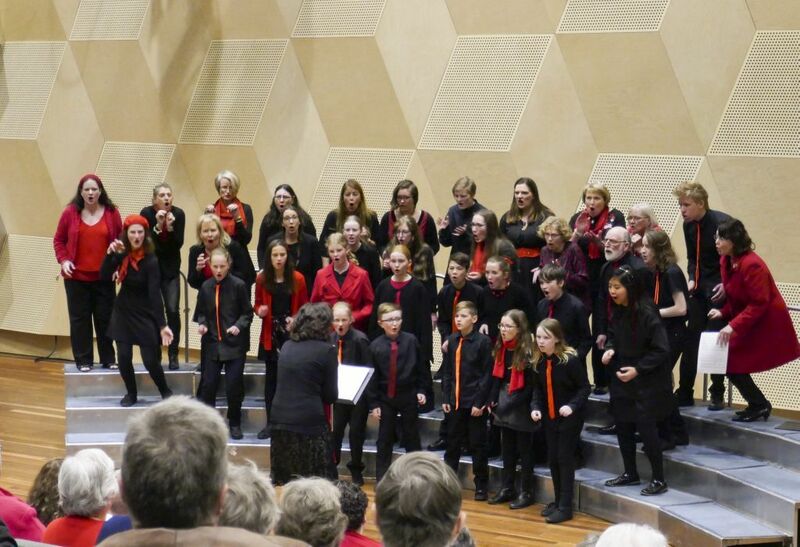 Alone, Raise The Bar gave a preview of their forthcoming GPAC play appearance with ‘We’re All Here’, then reunited with the Youth Choir to sing a cheerfully spirited ‘Jabberwocky’. 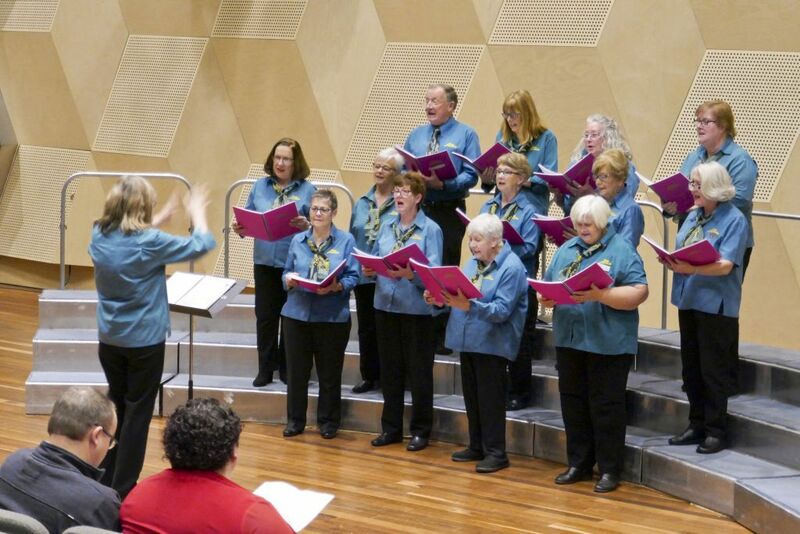 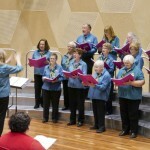 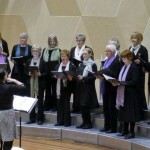 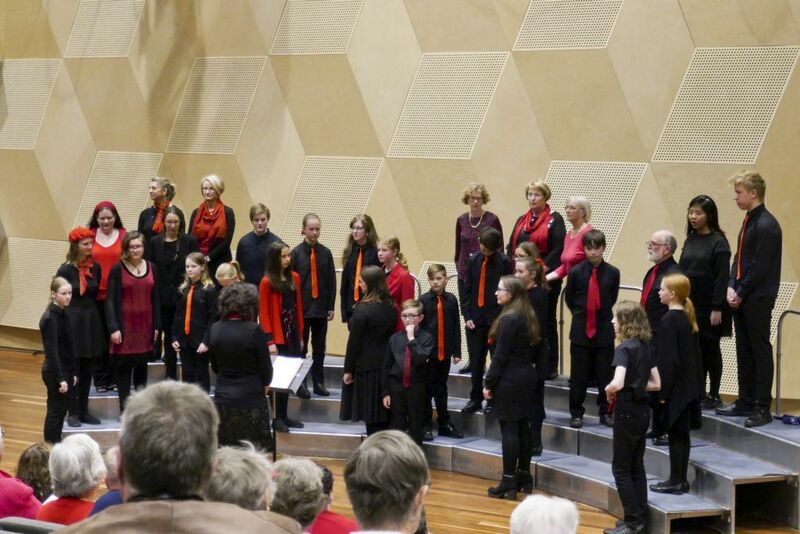 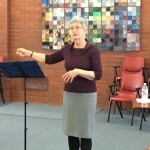 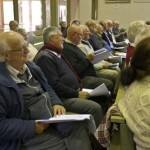 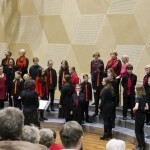 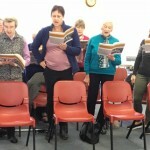 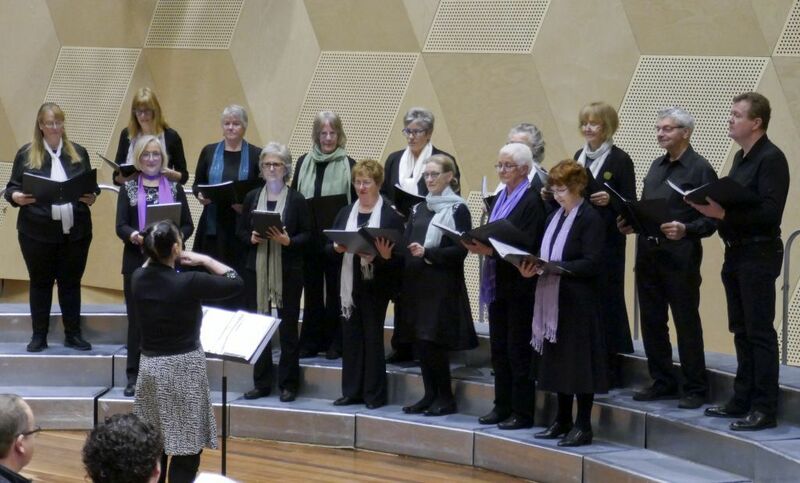 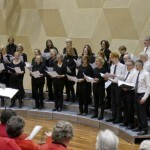 Geelong’s Jeanette John conducts two choirs, one all-female, the other all-male, and they presented back-to-back. 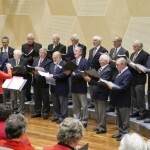 Her Geelong Welsh Ladies Choir opened with a Welsh hymn before moving to the classic show tune ‘Wouldn’t It Be Loverly’, while Jeanette’s men, the International Harvester Choir, started with a spiritual, ‘Cross The Wide Missouri’, before presenting ‘Bring Him Home’ from Les Miserables and finishing with a pop version of Verdi’s chorus of Hebrew Slaves in ‘Speed Your Journey’. 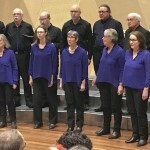 Sing Australia’s Geelong group displayed crisp vocal clarity in their trio of songs that started with ‘Catch A Falling Star’ and finished with a plaintive ‘Take Me Home’. 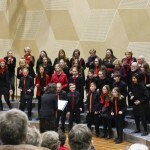 Then followed Vox Box, bringing bright Billy Joel and joyful ‘Java Jive’ before a gentle spiritual ‘Deep River’. 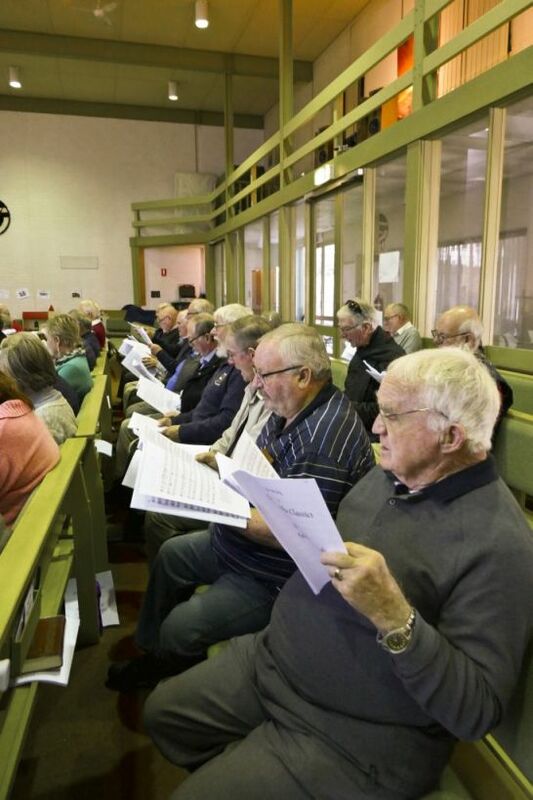 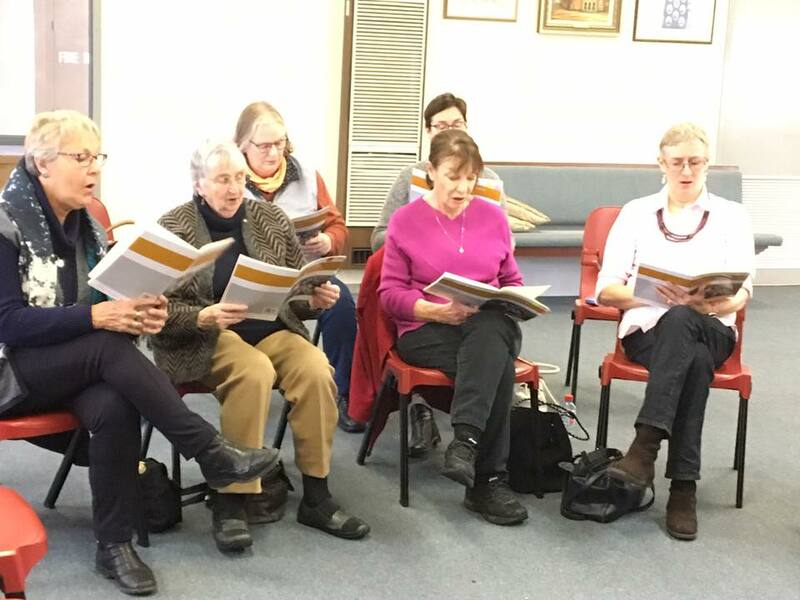 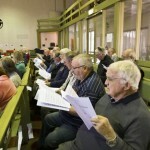 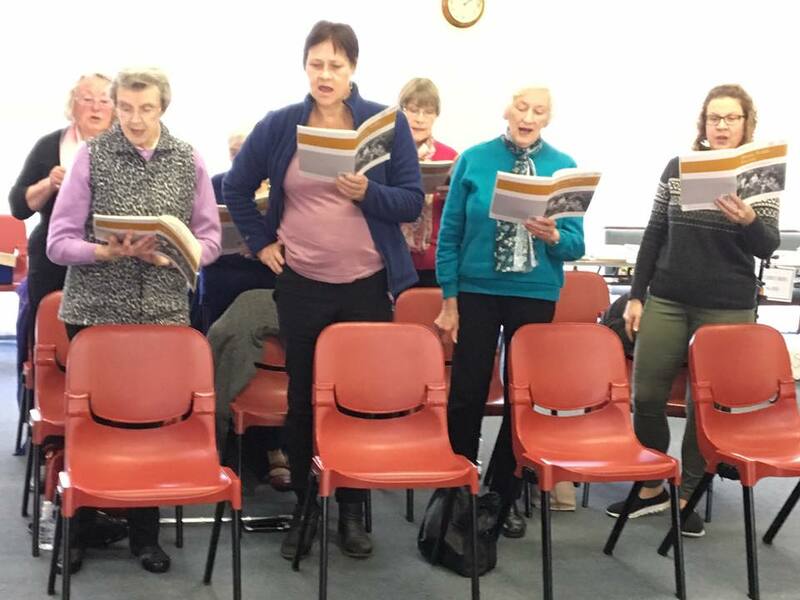 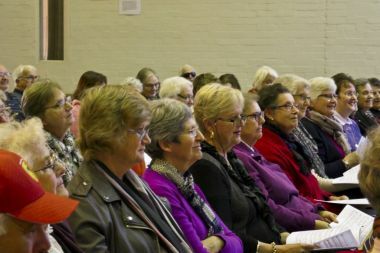 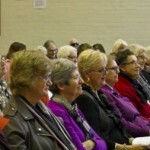 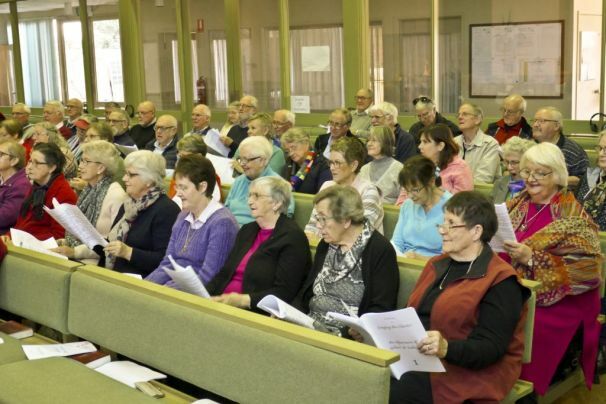 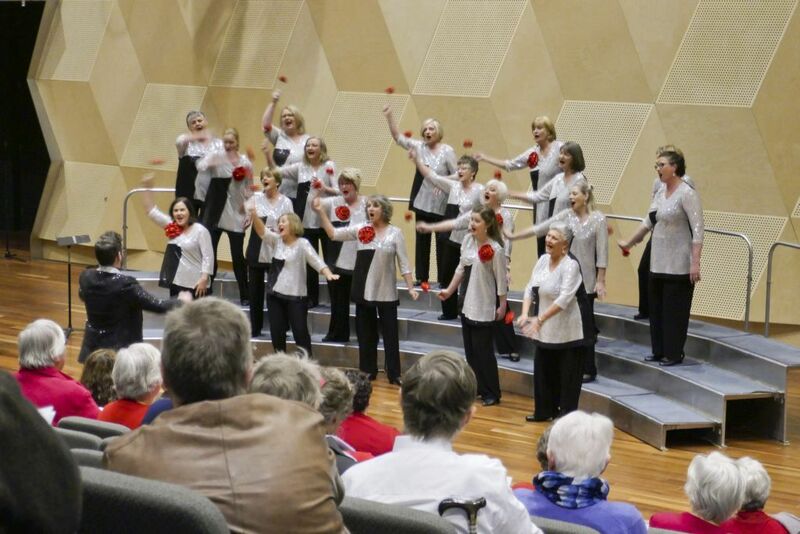 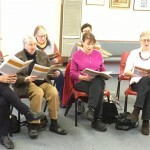 The U3A Geelong Choir kept that gentle flow going with a delightfully sparse version of WB Yeats’ ‘Down By The Sally Gardens’, before lifting the tempo with the Rice-Webber showtime ‘Any Dream Will Do’. 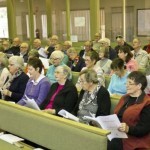 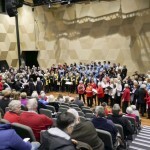 This segued neatly to the Geelong College’s Community Choir’s medley of songs from the Four Seasons’ Jersey Boys musical – and this led to the immaculately blue-blazered entry of the Grammar School Choir to sing a spirited ‘Jerusalem’, a gentle ‘Can’t Help Falling In Love’ – then that wonderful ‘Bohemian Rhapsody’ before the all-on-stage finale. 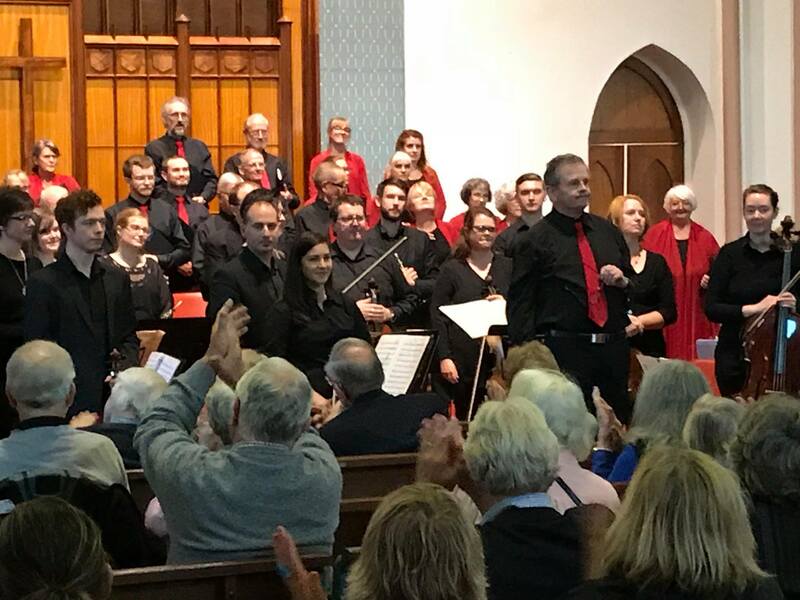 In total, everything came together; the superb venue, the different personalities of choirs and wide variety of their content to create what was simply a wonderful afternoon of joyful song. 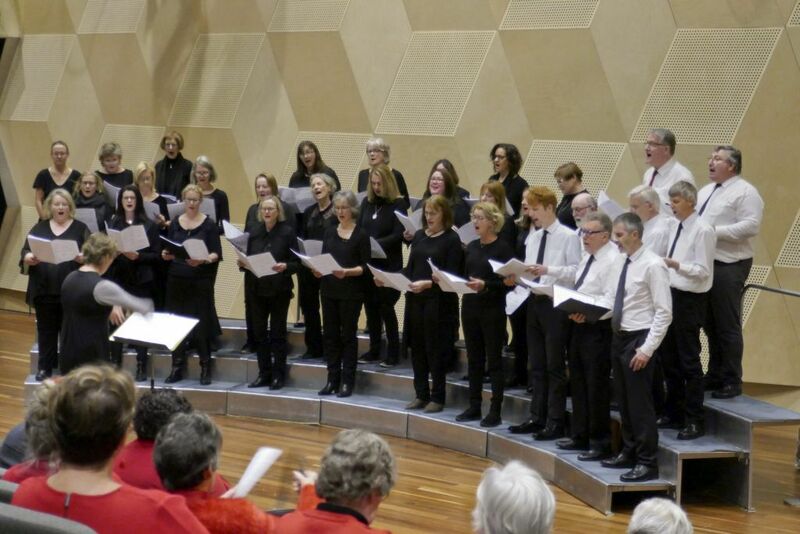 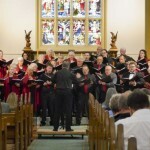 Many thanks to Helen Lyth of The Choral Grapevine for her wonderful photos of the event. 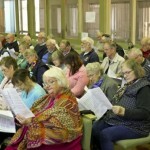 Thanks to Helen Lyth of The Choral Grapevine for her article on this Singing the Classics afternoon.